The artist’s voice is the call that draws Hollywood, no matter where you reside. There are probably few places in the continental U.S. more different from Hollywood than Clarksville, Tennessee. A quiet midwestern town of 150,000, Clarksville boasts a handsome college campus, the oldest newspaper in the state, an Army base, and serves as the seat of Montgomery County. Among the college coeds and military personnel, an aspiring filmmaker like Josh Raby seems a little out of place, something he readily admits. “I came here for college because it was the last place that would take my application. I was an incredibly ambitious kid, but also incredibly lazy. I’d tell everyone what I was going to be while sitting there doing nothing.” Raby quit college soon after starting, and found full-time work as an actor before settling permanently in Clarksville to raise his two daughters. If Raby’s name sounds familiar, it may be because of a wildly viral 2016 tweet-story in which he recounted a wildly entertaining, but highly improbable late-night trip for a vanilla milkshake. After people got over the totally unexpected shock of being lied to on the Internet, Raby was granted celebrity’s newest form of access: a huge following on Twitter. His thoughts turned to directing, and in the midst of the milkshake madness he finished production on Local Air, a digital series about a cable access television host propelled into a midlife crisis by a sudden divorce. It wasn’t his proximity to Hollywood that provided Josh with the funding or the wherewithal to produce and direct his own television series, it was something most film meccas lose in trade for their access: enthusiasm. Authenticity is a theme that comes up frequently with Raby. After the milkshake incident, he quit a well-paying sales job to try his hand at writing and directing a film. He raised $60,000 on sheer force of personality, then suddenly realized he no longer believed in his own project. “I came to a moment where I realized I’d put all this effort into making a thing that no longer represented me,” he says. 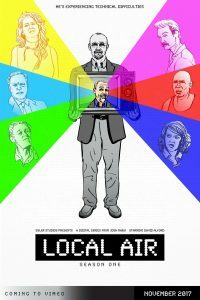 Raby returned all of the money he’d raised and went to work on the concept that would become Local Air, but many of his personal contacts were burned by the change of direction and not nearly as interested in backing a digital series with seemingly limited earning potential. Despite the financial setbacks, the intimate Tennessee film community wrought a minor miracle for Raby: the script for Local Air moved through a network of mutual contacts to reach David Alford, a Tennessee native with a lengthy theater and film resume, including a recurring role on the popular CW show Nashville. Alford was intrigued by Local Air’s lead, Gil Cotton. “David is an institution,” Raby says. He only had to watch 15 seconds of Alford on Nashville before realizing he was perfect for the part. Alford drove to Clarksville to meet Raby at the restaurant where he worked, and the aspiring filmmaker’s ambitious nature outshone his virtually blank production CV. Alford believed in him and accepted the part, giving Local Air a lead with some heft. For Raby, moments like this are one of the benefits of living far from the glitz and cutthroat deals of L.A. and New York. “It’s such a small group, once you meet one or two people, in short order you’ll meet everyone, and then you have better access to the bigger local people,” he remarks. After going viral and releasing Local Air, Raby faces the inevitable question: “When are you moving to L.A.?” For now, the authenticity that he gets from making films in Tennessee is more valuable than the celebrity he could gain elsewhere. “The reason I wanted to do any of these things is to be around a group of people who are interested in the same things I am,” he says. 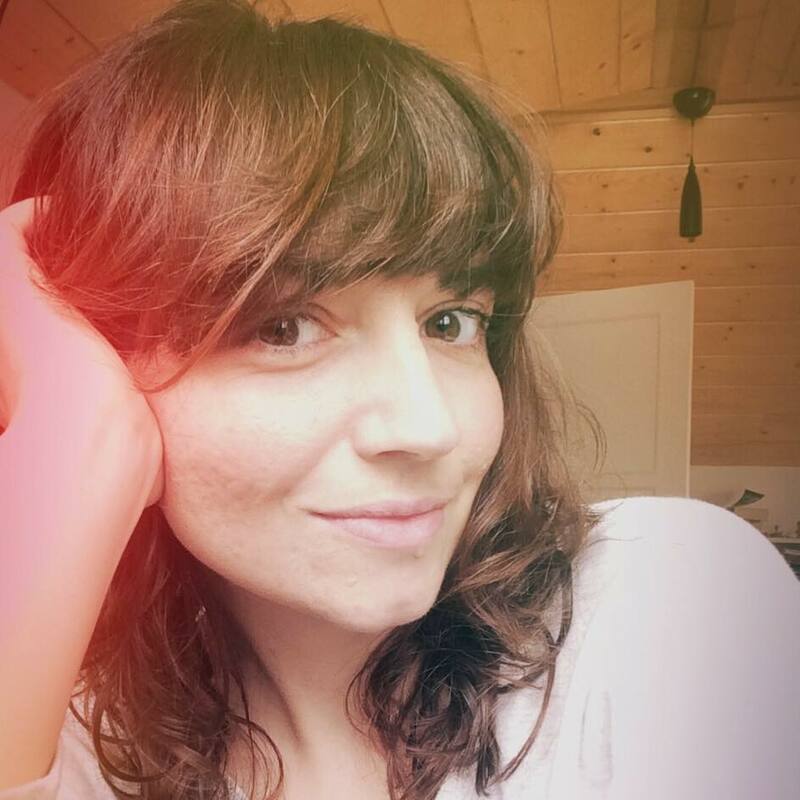 Jessica Ellis is the writer/director of upcoming feature film WHAT LIES WEST and a weirdly frequent viral twitter sensation at @baddestmamajama. She uses her AFI diploma mostly as a way to meet people who let her make them pie.